Given the complexity of the rail network in South London, I was keen to try and keep the map as simple as possible. This is why there are different colours for the different London termini. This is also why many rail routes are not shown on the map: including Thameslink, and longer-distance services whose frequencies would be unaffected by the proposals. I've now got a blog (notquitetangible.blogspot.com) where I'm posting the Tube maps, including a couple which I've shared on this forum before. 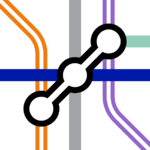 I'm currently working on a Tube map which is a little more 'fantasy', reimagining the London Underground in the gridlike shape of the Beijing Subway. This is what the central section looks like so far. 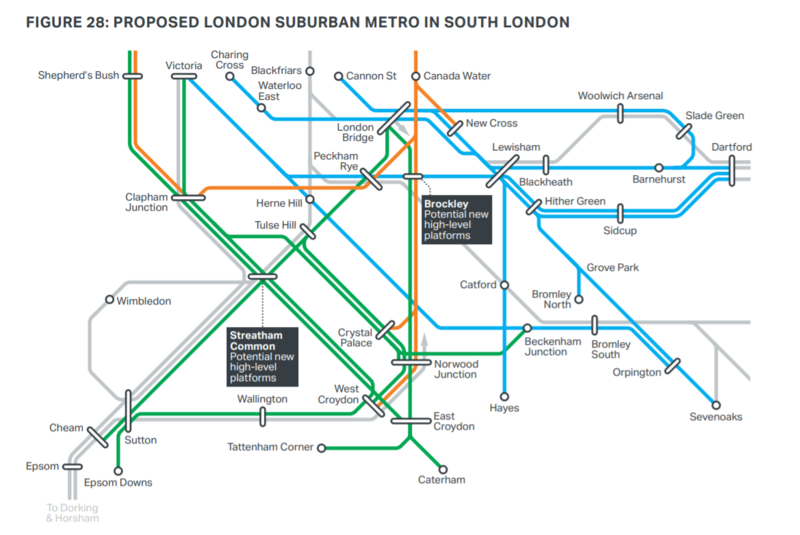 The map emphasizes how ridiculously complex the south London rail services are and why a potential TFL takeover should first be thoroughly reviewed. What would that mean in relation to, for example, a train running from Victoria to Dover? Presumably they were not planning to separate 'metro' trains, so what would happen at the boundary? Unless it's just a 'fares and finance' thing, this seems beyond half baked. And even 'fares and finance' would be horrendously complicated to plan, agree, and implement. So no Woolwich to Lewisham service? That wont go down well as those were always well used trains when I lived in the area. The same as currently happens to Liverpool Street to Stansted services, for example - or Marylebone to Aylesbury. They share tracks with the Metro services. (This is presumably why here is no off peak service shown to Dartford via Sidcup - these continue beyond Dartford, and would remain with SET. Likewise, this service goes beyond Dartford. I would prefer non-TfL services to be shown in some way, perhaps as a narrower line, but that is not TfL's way. One oddity on the map is that the NR interchange symbol is shown at all stations Beckenham Junction to Orpington, except Bromley South! If this is to take account of the Thameslink services sharing that route, Bromley South (and also Penge East, Sydenham Hill and West Dulwich should have the symbol), but the usual convention is not to show interchange at intermediate stations on lines where two all-stations services operate (so Gunnersbury and Richmond, but not Kew Gardens), so here we would expect Herne Hill, Beckenham Junction, Shortlands, Bromley South and Orpington to have the symbol, but not the intermediate stations. Not as complicated as the Tube network, although I would suggest the map might be clearer if the "London Bridge" routes were split as the Victoria ones have, into a "via Forest Hill and a "via Tulse Hill" group, and that the West London Line/East Croydon route be shown separate from the other Overground lines. But if these lines were to be taken over and run as part of the Overground, we would just get a confusing tangle of spaghetti-in-tomato-sauce, because branding is so much more important than clarity. So for this reason I didn't mark the route on the map (but gave Charlton and Blackheath interchange symbols). I've found that making this map involves walking a thin line: show too many lines and you get a complexity overload (the complexity is already high, as londoner notes), show too few and you wonder what happens to all these services that wouldn't get devolved. My understanding is that Petts Wood definitely needs at least an interchange circle (since you could use it to change between Chislehurst and Bickley, for example). Then my understanding is that you never leave off the NR symbol from any interchange-circle station served by NR, even if it's an intermediate station. This may not be correct, though - the science of interchange symbols is arcane! I think you're right about Bromley South and Bickley - I will correct these! Only really true for four, or possibly five, Underground lines.